At Discount Dumpster, we offer waste management services in Cherry Creek and the surrounding Denver Area. At low flat rates and rush delivery, we help to provide your waste management needs on time and on budget. Locally hauled and nationally operated to fit your needs. Speak to a representative who will walk you through the process step by step. From delivery, to pick and disposal, our large array of different sized containers is sure to match your disposal needs. Call today to receive an instant quote. Locally owned and operated we strive to save you time and money with an affordable solution to waste management. This small Dumpster is best for minor clean up projects, and general junk removal. ​The shorter sides allow for easy access and will fit in most neighborhood side street parking. Similar to the 10 yard roll off dumpster a 12 yard container is ideal for minor projects around the house. A single car garage cleanup or attic junk removal. Perfect for projects around the home. Use this container for smaller roofing projects, moderate home renovations, or smaller landscaping jobs. Useful for larger projects around you home, this sized dumpster is common for kitchen and/or bathroom remodels, roofing jobs, garage or attic clean outs, and large landscaping projects. 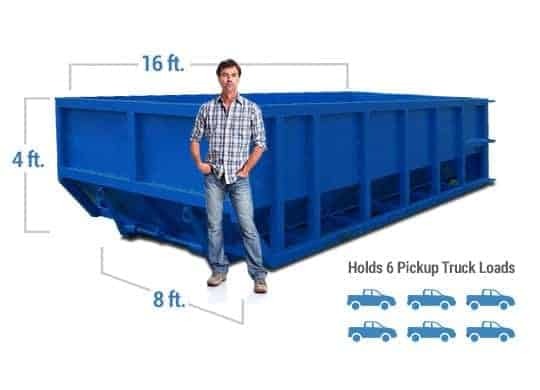 Commonly delivered to full service construction projects, this 6 foot tall dumpster allows for walk in access, and is perfect for large quantities of debris. Good for large projects with large bulky material. Mainly used on commercial construction sites due to the height of dumpster walls, this dumpster is the largest we offer to our customers in Denver. Good customer service. Their team is on point with the drop off and pick up. Cheaper than most other dumpster rental companies. They make it easy! Discount Dumpster Rental has great service. Really friendly and worked with my crazy timeline. I also needed extra days on my rental which they gladly gave at no extra cost. Pick up was fast and clean. Discount Dumpster they were on time and put the dumpster where we ask. We got rid of so much trash and junk that we no longer needed. It was Great, we will differently be giving them another call in May when we clean out the garage. Thank you so much Todd & Patricia?? Great experience. Easy to work with and follow through was exceptional. Will definitely use again! I have used this company many times over the last couple years and they always give great service.my dumpster is always on time and where i want it placed.prompt pick up.i am 100% satisfied and recommend them to anyone needing a dumpster. I used discount dumpster for a recent house remodel. They were the best price I found shopping around a bit. Plus they were very friendly and super easy to deal with. Drop off and pickup both happened as scheduled. That's about all you can ask for with a dumpster service. I will definitely use them again on the next one. Fantastic dumpster service! Delivered and picked up promptly. Thrilled that we were able to have it for 2 weeks at a very reasonable price! Will definitely be using them again in the spring. Discount Dumpster is really great. The communication is especially responsive, and they're really quick to take action. I've never had a dumpster company that can respond so quickly to deliveries, swaps and pick ups. I highly recommend them for any dumpster rental. Discount dumpsters were Great to work with. Helped figure size of dumpster for job without a hassle. Delivery and pick up went as scheduled without complications and best price I could find for south metro area. This will be my second time using this service for dumpster rental. Great costumer service, and fair price, definitely recommend them! Discount Dumpster is your stop for all your waste management needs. We offer low flat rates that encompass all costs from delivery to disposal. Weather you are a homeowner, contractor, or business owner, call Discount Dumpster and schedule your dumpster delivery today. 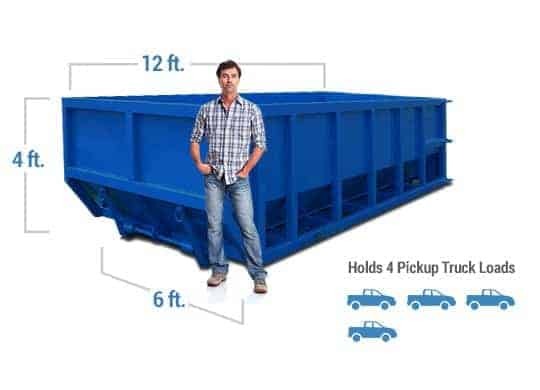 With a multitude of dumpster sizes most every project will fit. Need more than one dumpster? That is not a problem as we will delivery as many roll offs you need to make sure there is no loss time on your end. Our team of highly trained customer service representatives is waiting to get you what you need, where you need it. Just tell us what size container or containers you need for your job, and Discount Dumpster will deliver. Don’t wait, call today and receive your free quote. No matter the size job, let Discount Dumpster be your partner for all your waste management needs. We make it easy. Running behind schedule? 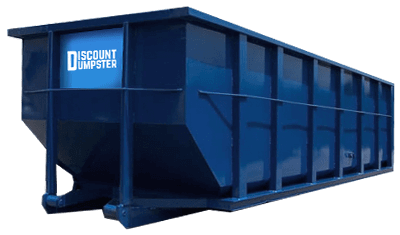 Discount Dumpster’s flexible rental periods will keep you from making those long extra trips to the dump.